We at royal Lacrosse take pride in our instruction as teachers and mentors to our players. We make sure every drill and concept is fully understood at each grade level, which helps with their personal development. We understand that players have different skill sets and learning abilities, so it is important for us as teachers to allow for extra help in areas a players may need. 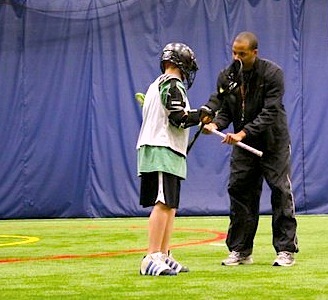 Our private instructions allow players to get a 1 on 1 experiance with a royal lacrosse coach. This specific instruction is catered to the player in which we target any weaknesses or teaching points in his game. A more intimiate setting allows a player to ask questions that he may not have felt comfortable asking in a larger setting. This also allows a royal coach to break bad habits that may be restriciting that players from succeeding at his potential. 1 on 1 position specific instruction and small group sessions are available by request. CONTACT US for more information.